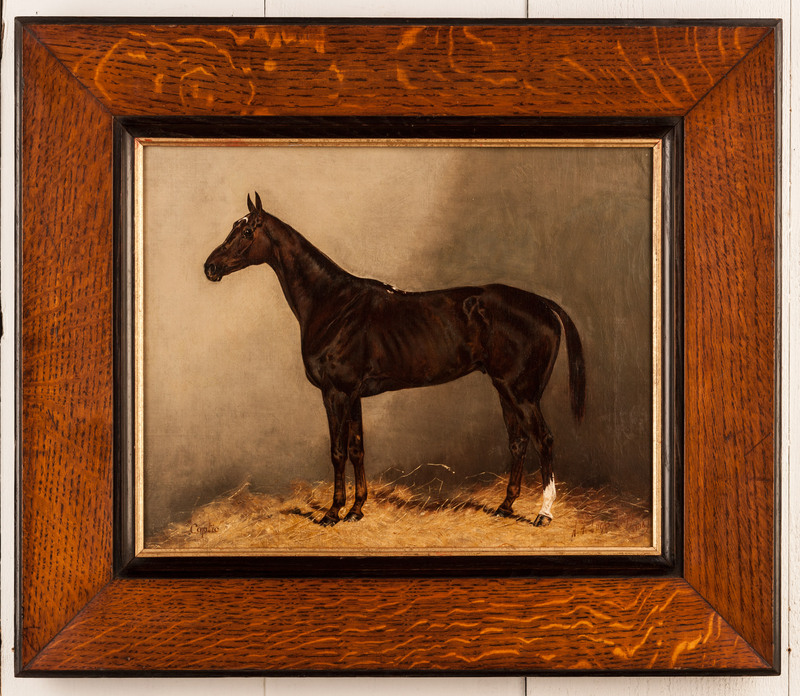 A portrait of the horse "Coptic', painted in oil on canvas, signed and dated by the artist, H.J.Lucas Lucas, 1908. (lower right). 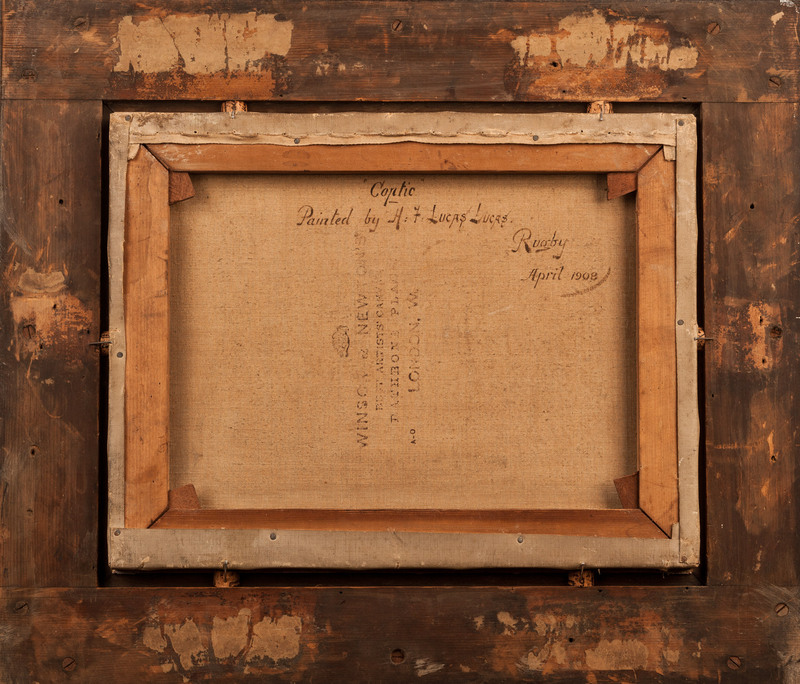 Further inscribed to the reverse of the canvas with the addition of 'Rugby 1908'. Within a fine, period to the portrait, oak and ebonized frame.